The new 2017 Range Rover is now available for sale at Land Rover Colorado Springs! 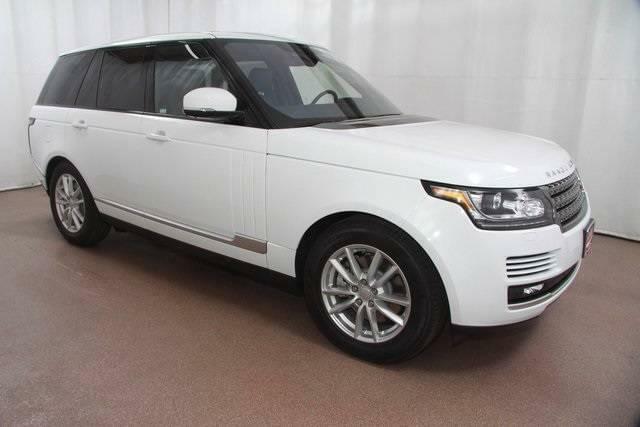 This impressive 4-door sport utility Land Rover can fit up to 5 passengers, gets a fantastic estimated fuel economy of 22 MPG city/28 MPG highway, and so many great advanced technology features including both entertainment and safety features. The 2017 Land Rover Range Rover comes in 5 different trim levels ranging from the Range Rover (MSRP $85,650) to the Range Rover SV Autobiography DYNAMIC (MSRP $170,995). The Range Rover is offered with two powerful engine types – a 3.0L Si6 and a diesel 3.0L Td6. Each of these is paired with an efficient 8-speed automatic transmission. The light-weight all-aluminum body provides an agile driving experience, including amazing off-road capability. 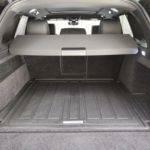 The Range Rover has a variety of standard and optional features available. This includes InControl® Touch Pro™, rear seat entertainment system, adaptive dynamics, Meridian™ sound system, Hill Descent Control® and many more. Enjoy the climate front and rear seats in any weather. You can even add on optional massage seats. No more slamming doors with the Soft Door Close feature. Arrive at your destination safely with a variety of innovative driver aids including Blind Spot Monitor, Full Park Assist System, and Adaptive Cruise Control. The Surround Camera System provides an almost 360 degree view to help with everything from parking to towing. Stop into Land Rover Colorado Springs today to take a test drive! Our expert staff will show you all of the wonderful features you can have on your 2017 Range Rover. We know you will be thrilled with the performance, comfort, and features of this amazing luxury SUV.